Good location close to Hollywood stars and Chinese theater. If you are going to do the Hop on Hop Off Buss tours, this hotel is close to where all the buses leave. Room was clean, good mattress and pillows. Comfortable and VERY convenient to all the places that I like. Parking space was available too which is important and the staff were very friendly. The breakfast had great choices. The staff were great, the rooms were very clean & I was close to all the touristy stuff. Good location if you want to explore Hollywood. Hotel is conveniently located between Hollywood and Sunset boulevard. Room was nothing special but fine enough. Hotel provides for free parking in secure garage. Friendly staff, free breakfast, free internet, excellent location. Staff went above and beyond to check us in early!! Perfect location if you want to see the walk of fame. Breakfast was good to start the day. Nice room with a good shower. 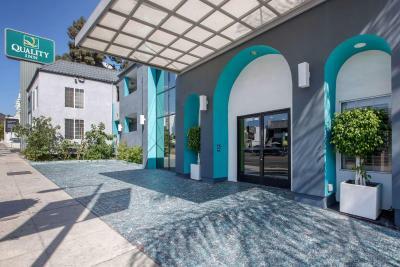 Quality Inn Near Hollywood Walk of Fame This rating is a reflection of how the property compares to the industry standard when it comes to price, facilities and services available. It's based on a self-evaluation by the property. Use this rating to help choose your stay! Universal Studios Hollywood is 10 minutes away from Quality Inn in Hollywood. 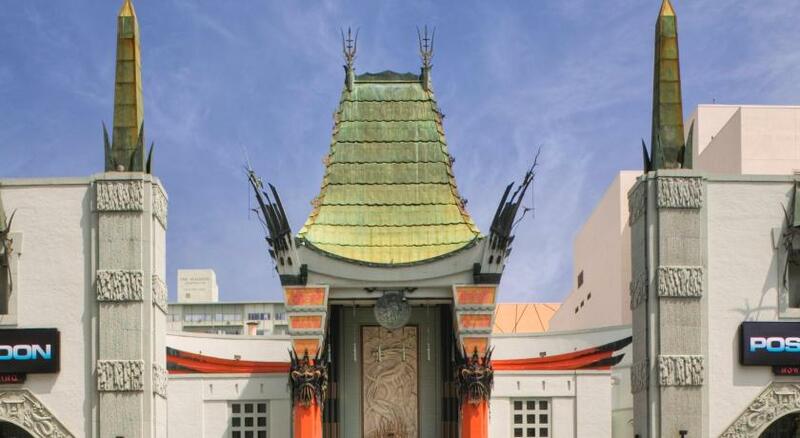 TCL Chinese Theater is less that 1 miles away. When would you like to stay at Quality Inn Near Hollywood Walk of Fame? This twin/double room has a flat-screen TV, air conditioning and tea/coffee maker. Offering free high speed WiFi, this room features a coffee machine and a microwave. House Rules Quality Inn Near Hollywood Walk of Fame takes special requests – add in the next step! Quality Inn Near Hollywood Walk of Fame accepts these cards and reserves the right to temporarily hold an amount prior to arrival. Breakfast wasn't that good. Would opt out of breakfast. Old and dirty. Not good at all. Parking was difficult for larger vehicles. No elevator access to second level. Just off busy street added some noise. Clean, well coordinated pool. Good, accessable, and complete included breakfast. Staff was helpful while coordinating rooms for a group of 11. Extremely expensive for what you get. They make you pay the location. You would better go a hotel at 10-15min by car and get a much better quality and price. The breakfast is just crap. Avoid it! Old building, was woken up each morning early by the room above us. So some unwanted noise. Location was great, right between Hollywood and sunset Blvd. Underground parking! As long as your vehicle isn't over 6ft tall. Staff was excellent. Front desk recommendations were spot on! I would stay here again if back in area.